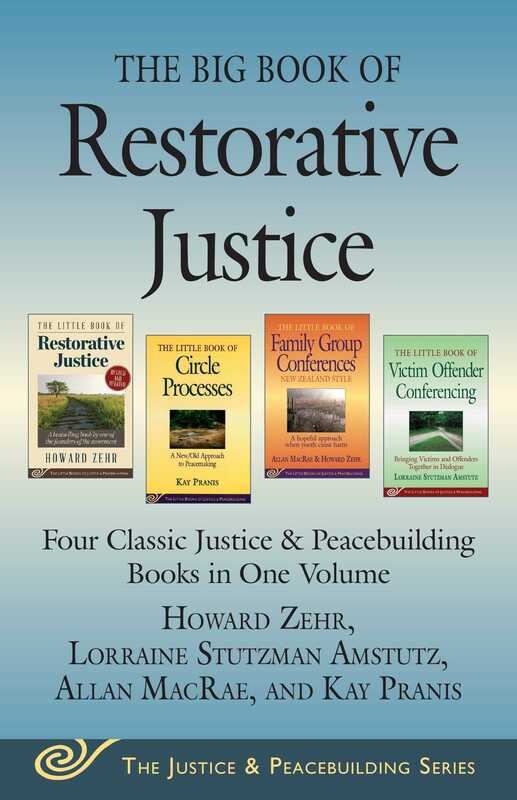 For the first time, the four most popular restorative justice books in the Justice & Peacebuilding series—The Little Book of Restorative Justice: Revised and Updated, The Little Book of Victim Offender Conferencing, The Little Book of Family Group Conferences, and The Little Book of Circle Processes—are available in one affordable volume. Restorative justice, with its emphasis on identifying the justice needs of everyone involved in a crime, is a worldwide movement of growing influence that is helping victims and communities heal while holding criminals accountable for their actions. This is not a soft-on-crime, feel-good philosophy, but rather a concrete effort to bring justice and healing to everyone involved in a crime. Circle processes draw from the Native American tradition of gathering in a circle to solve problems as a community. Peacemaking circles are used in neighborhoods, in schools, in the workplace, and in social services to support victims of all kinds, resolve behavior problems, and create positive climates. Each book is written by a scholar at the forefront of these movements, making this important reading for classrooms, community leaders, and anyone involved with conflict resolution.